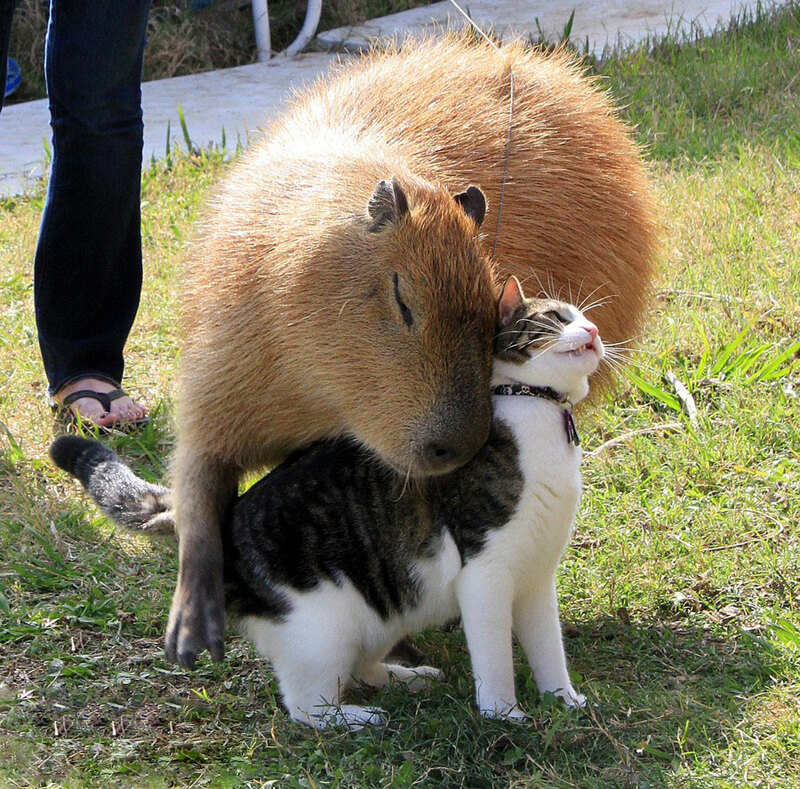 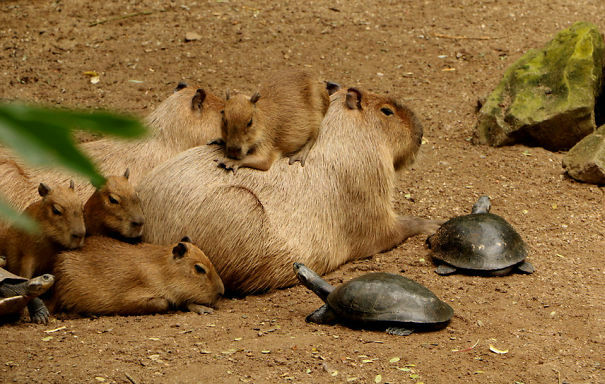 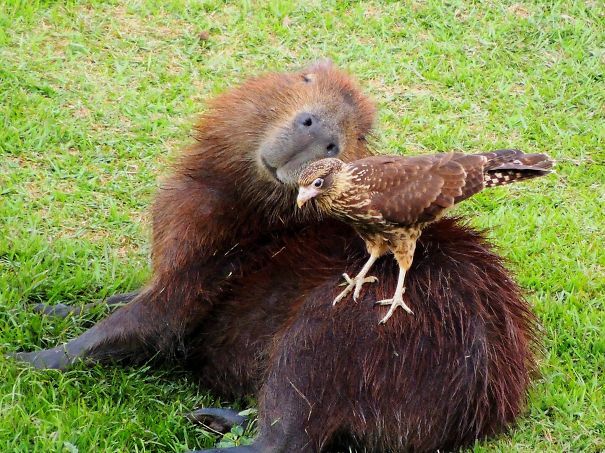 Why do other animals like capybaras so much? 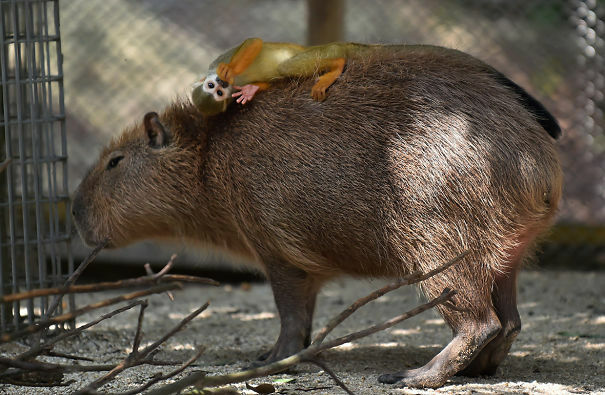 When this was the question posed on Tumblr, Bored Panda did a little research. 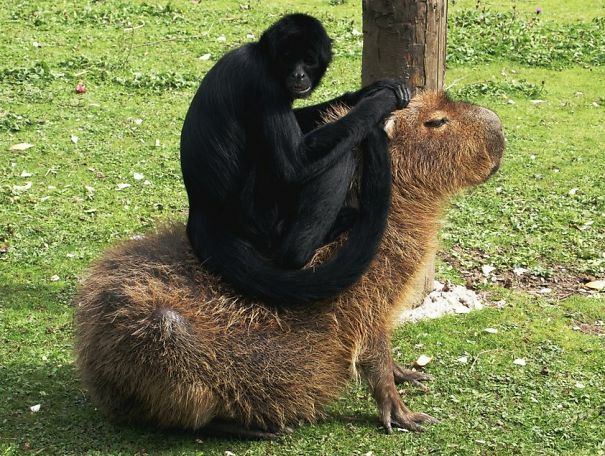 The photo evidence was more than convincing. 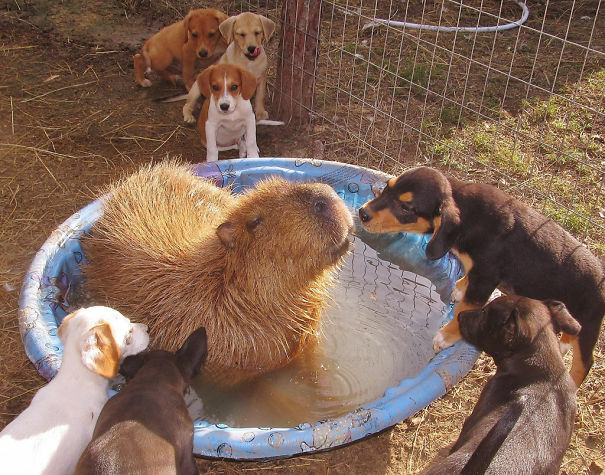 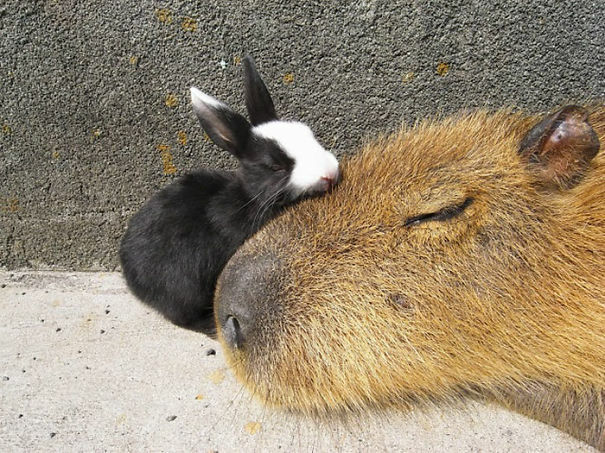 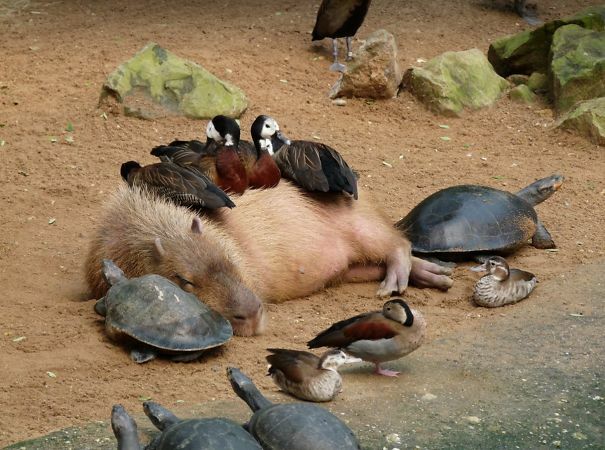 Every animal seems to like hanging out with this friendly creature that looks like a rat-pig hybrid. 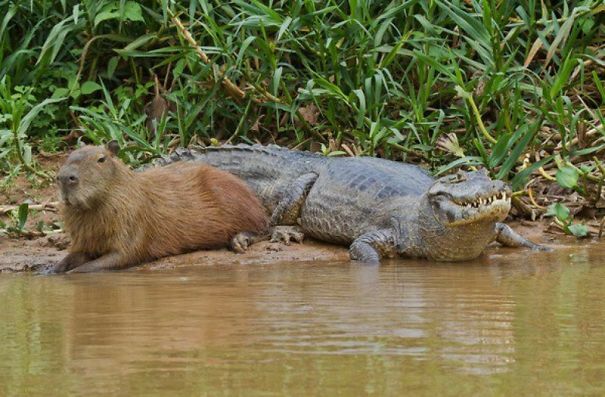 Even crocodiles! 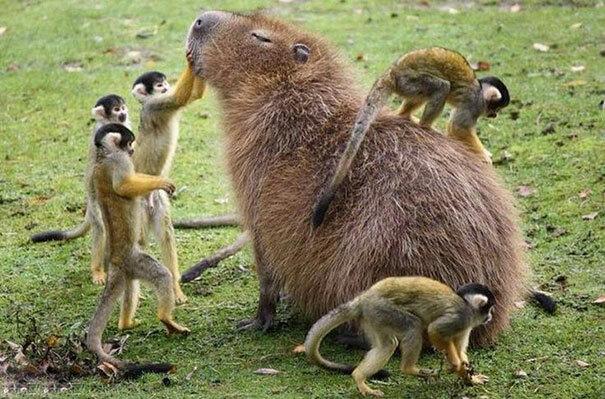 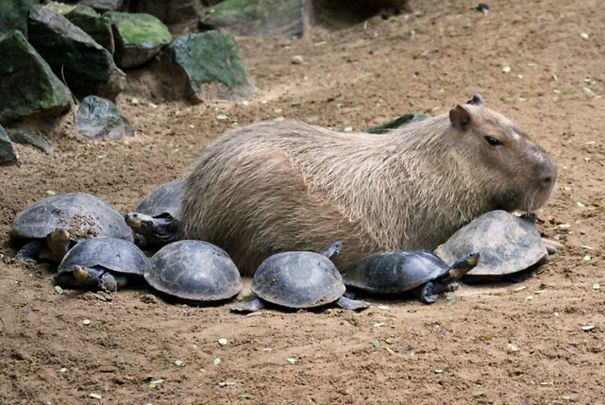 The answer probably lies in the fact that capybaras are very social animals who often live in groups of 10-20 individuals. 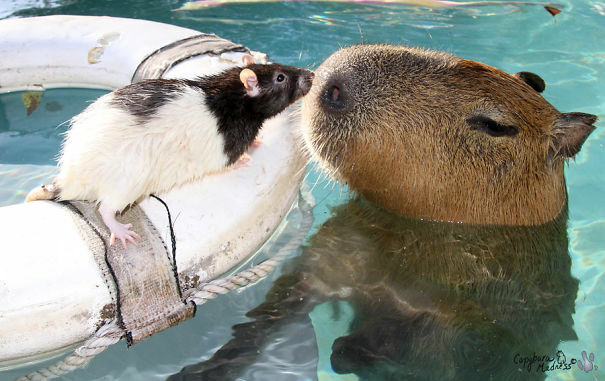 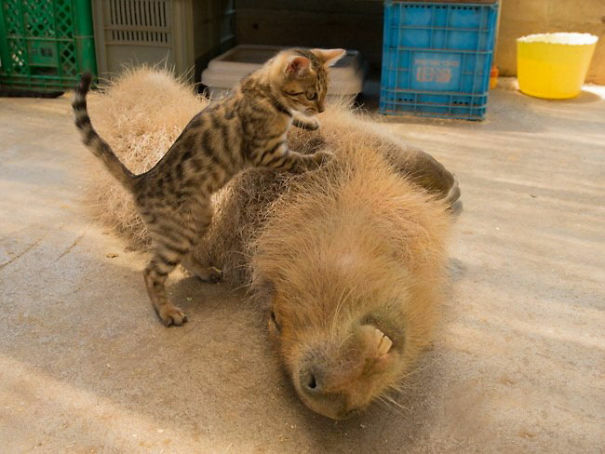 This lovable creature is the largest rodent in the world, growing to a size of up to 134cm and weighing up to 66kg. 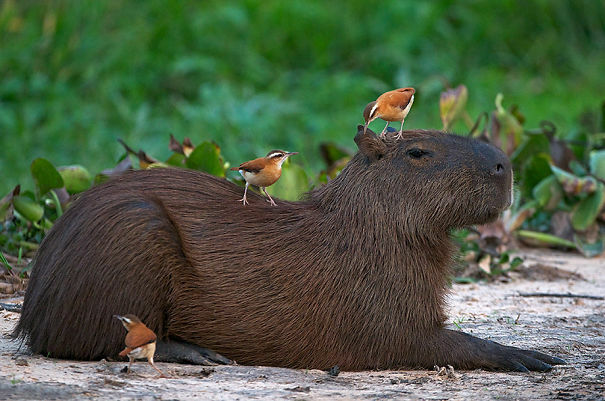 Native to South America, capybara’s are semi-aquatic mammals that prefer to live near bodies of water; in fact, they are excellent swimmers, can avoid predators by staying submerged for up to 5 minutes, and only mate in water.